Regular exercise can help to prevent feelings of stress and anxiety, and can promote a more positive outlook and energy flow. This is all thanks to the release of serotonin, a feel-good chemical in our bodies. So what type of exercise is a good option for everyone? Pilates. Pilates is a form of exercise that concentrates on strengthening the body, improving fitness and boosting overall wellbeing. It focuses on posture, balance and flexibility, helping us develop a stronger core, flexibility and an evenly-conditioned body. Pilates also strengthens our mind by allowing us to separate ourselves from our busy lives, focusing solely on our movements and helping us get that feel-good endorphin buzz. 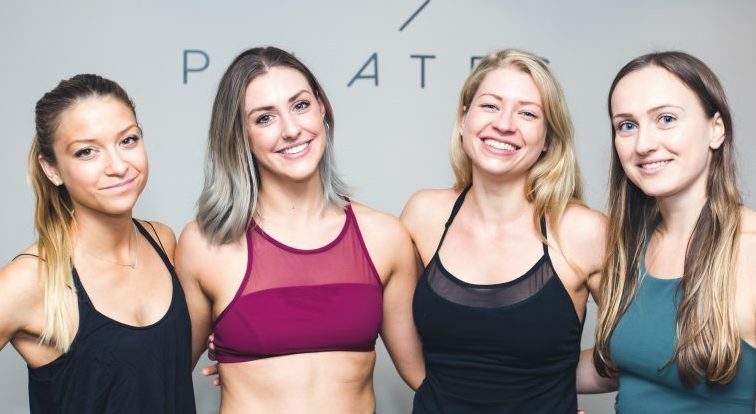 Pilates PT, set up by award-winning fitness expert Hollie Grant, is a fitness provider in the UK, boasting studios in London, at-home training sessions and a holistic online fitness and wellbeing plan for women to use around the world. The Pilates PT Method – their unique combination of Pilates and high intensity interval training – is all about focusing on how your body performs, not how it looks, and they believe this is the key to lifelong wellness and happiness. Pilates really is for everyone. Whatever your ability, fitness or size, you can improve your wellbeing by practising Pilates. It’s easily adaptable so whether you’re not very flexible or you lack confidence in your balance, Pilates will help you improve your fitness, body, mind and self-esteem. Exercise, and Pilates in particular, is for everyone, and everyone can benefit from improved mental health, athletic performance and functionality when they exercise regularly. If you want to know more about Pilates, the Pilates PT team and Hollie Grant will be at FitFest Oxford on 15th June. Hollie will be speaking on the Mental Health Panel, and her team will be hosting a Pilates PT Method class.